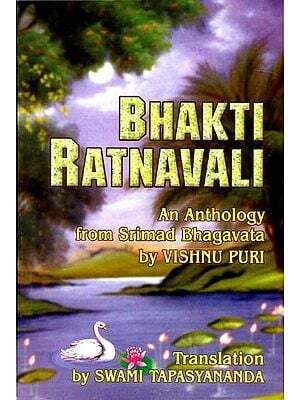 It is a pleasure indeed to bring out again the book “Srimad Bhagavata” condensed in the poet’s own words along with the English translation by Dr.V. Raghavan. Dr. V. Raghavan, the internationally reputed scholar functioned as the founder secretary of the Institute in the name of his revered guru Mm. S. Kuppuswami Sastri, for more than three decades since its inception. He was also responsible for putting the Institute in firm footing. 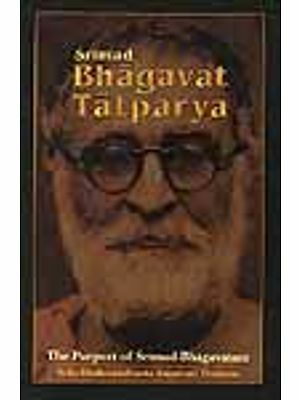 It was thus befitting that the fourth edition revised) of the book was published in 2008 to commemorate the Birth-Centenary of Dr. V. Raghavan, along with his other translated work, the Mahabharata. 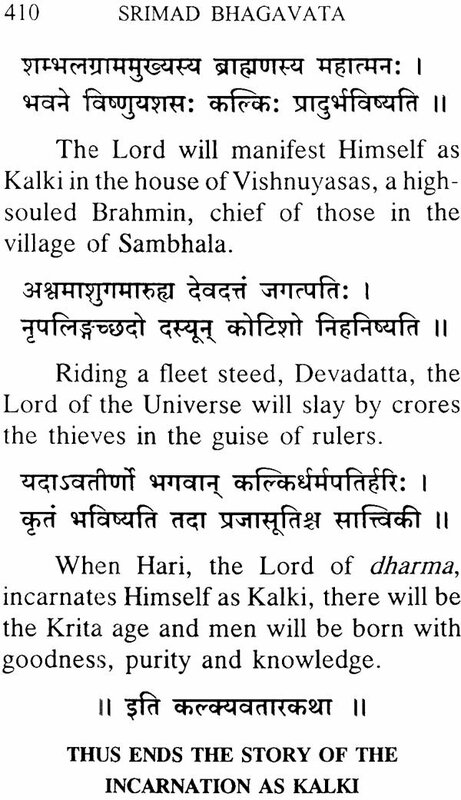 This book along with the Mahabharata, condensed in the poet’s own words and translated by Dr.V. Raghavan was published seven decades ago by Sri G.A. Natesan in the year 1937. 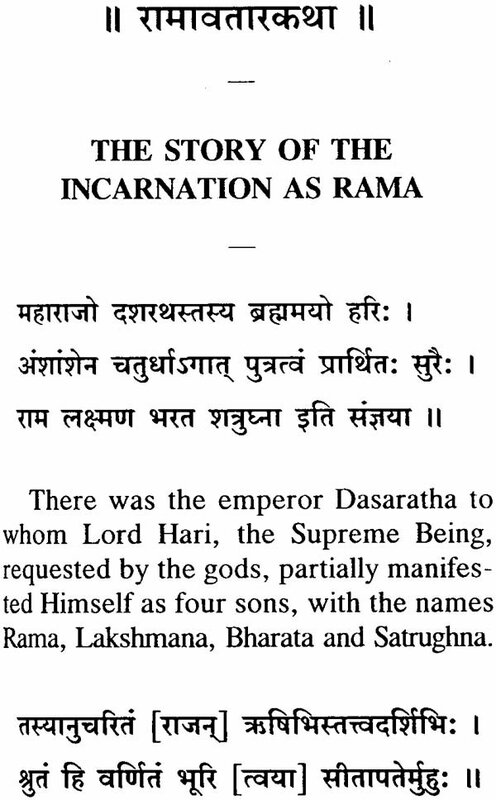 Earlier in 1935, the Ramayana, condensed and translated by Prof. P. P. S. Sastri was also brought out by him. All the three books had seen many editions. All these books once again are published together by the Institute, for the benefit of the public. 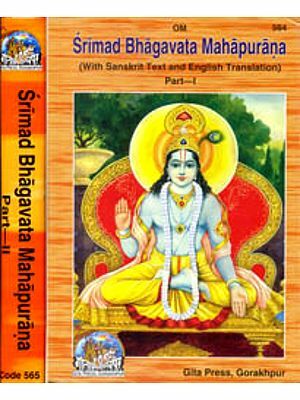 The condensation of a voluminous work like the Srimad Bhagavata less than 450 pages is no easy task. The easy felicity with which the condensation (in the poet’s own words) reads, proves the editorial capability of Pandit A.M. Srinivasachariar. So also, the translation of the condensed version of Dr. Y. Raghavan stands as a model. As is his practice, he has meticulously made a note about the methodology he has followed while translating the text. The foreword by Sri P.S. Sivaswamy Aiyar a legal luminary, is a fine critical analysis of the Srimad Bhagavata. A fervent reader of the Bhagavata and a devout Hindu, Sri P.S. Sivaswamy Aiyar’s foreword presents a balanced view about the Purana, taking into consideration its value as a sacred literature. With increasing renewed interest in the public to learn more about our culture and heritage, there is a rise in the demand for these books. To cater to the need of the public, the Institute is again bringing out all the three texts together. It is hoped that these great Indian literature would find their way all round the world. It has been the ambition of Mr. G.A. Natesan to popularise the three most important poems in the sacred literature of India by bringing out abridgements of the original Sanskrit texts with an English translation. He first brought out an abridgement of Valmiki’s Ramayana, the most famous Kavya in the classical literature of India. 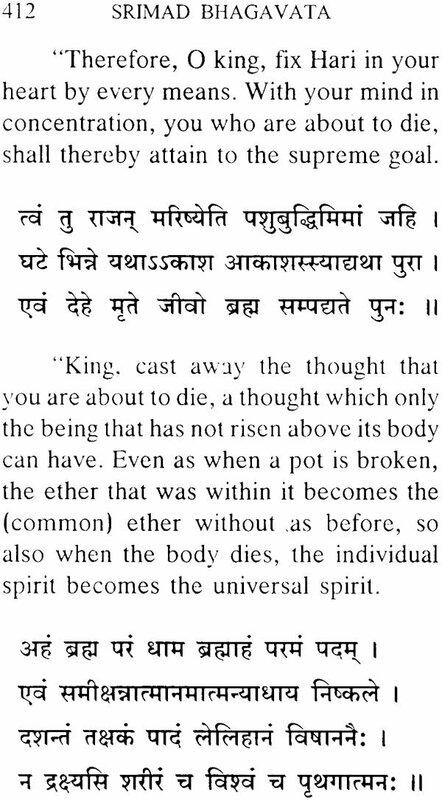 This was immediately followed by the abridgement of the Mahabharata, the greatest Itihasa. 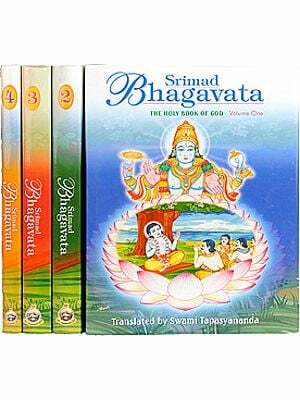 His latest venture is the abridgement of the Srimad Bhagavata which may be justly described as the greatest and most popular of the Puranas. Every Purana has necessarily to deal with a certain number of topics according to traditional conventions, and the manner of treatment of these topics is more or less on similar lines. 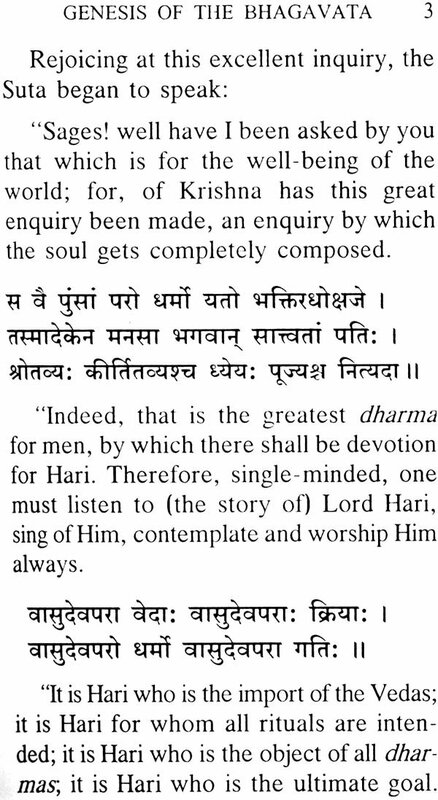 But each Purana is further intended to serve a special purpose. 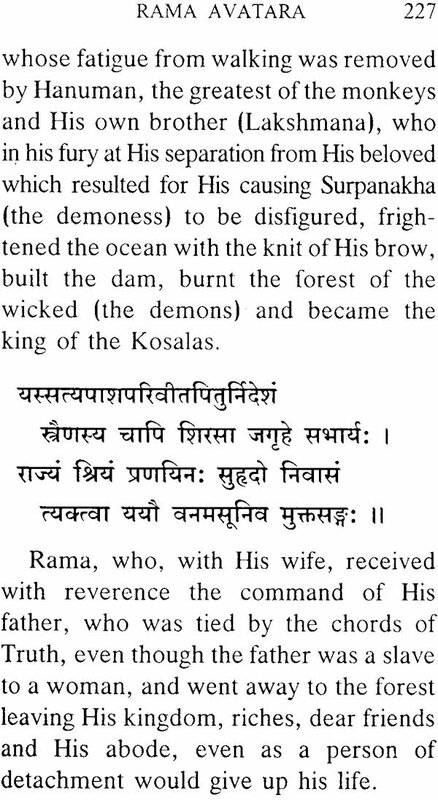 The Puranas generally contain a strange medley of fables and fairy tales, philosophy and religion, myth and legend. It is not easy for a Western reader to appreciate the teaching and value of our Puranas without a knowledge of the methods employed by the ancient Indian sages for inculcating the principles of ethics or the tenets of religion. 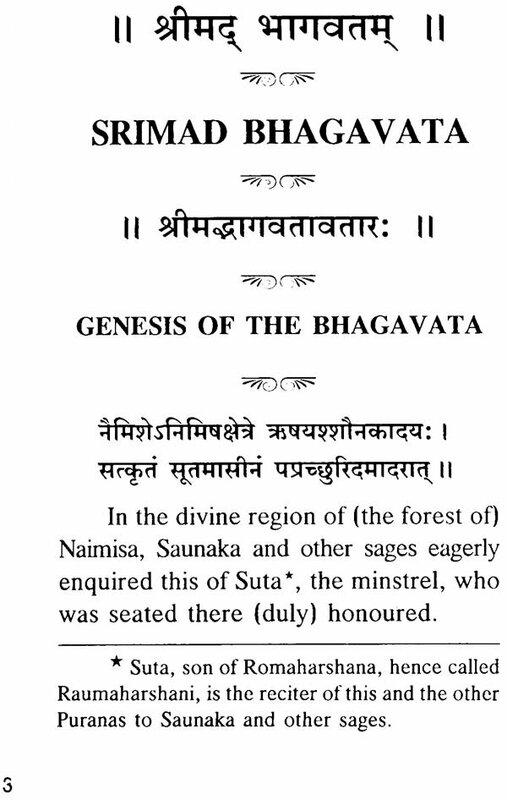 The Bhagavata shares the defects of Puranas generally. It is full of incredible stories and miracles, and embodies divergent philosophical doctrines, diverse cults, stories intended to exalt some particular incarnation or manifestation of the Deity and stories which do not hesitate to attribute faults of character to God or which may appear to the reader to have an immoral tendency. It is not free from the bias of sectarianism. Its literary merit is not uniform and is so uneven in substance and in style that we may reasonably suspect many interpolations and the work of more hands than one. The style is often harsh and rugged, involving highly artificial combinations of words. It has got its peculiar terminology. 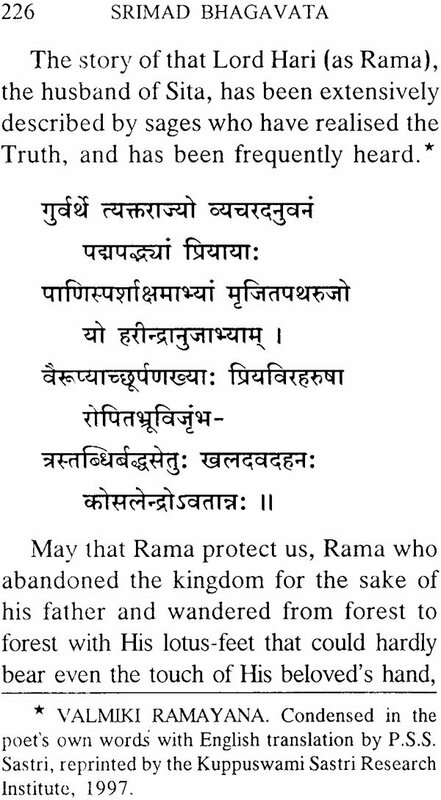 In this respect it compares unfavourably with the Ramayana. 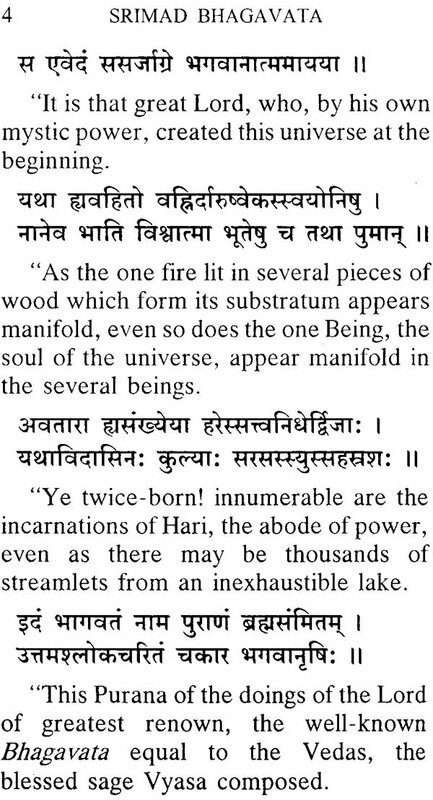 In spite of these defects, the Bhagavata has acquired a wonderful hold upon the minds of Hindus. It has a fascination even for the minds of those who, like myself, are keenly alive to its defects. 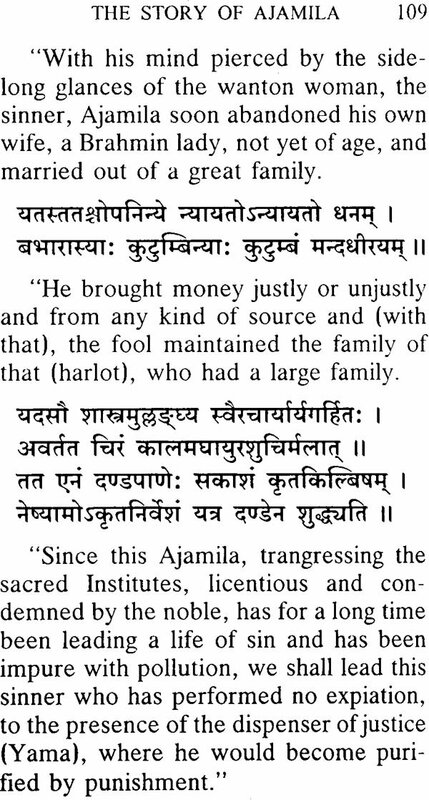 What is the secret of the appeal that the Bhagavata makes even to the mind of the educated Hindu? The main theme of the Bhagavata is the importance of Haribhakti or devotion to God, especially in His manifestation as Krishna. It is generally said that the Bhagavata is par excellence the Purana which emphasises the value of bhakti (devotion) and virakti (detachment). Attractive stories are a vehicle employed by the Hindu sages for teaching morality and religion. 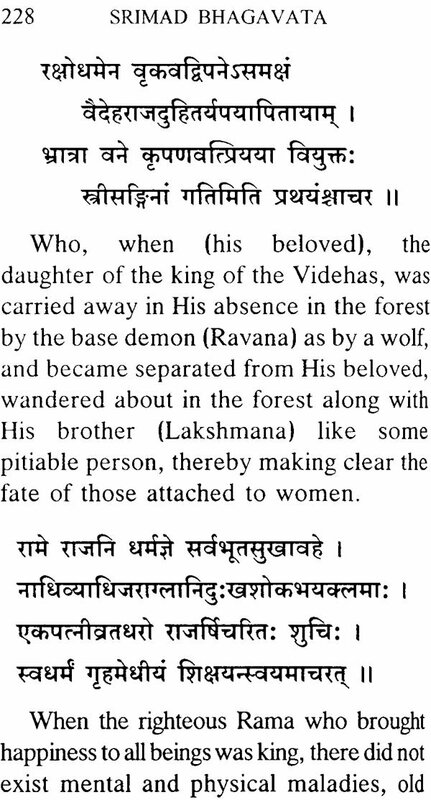 The author of the Bhagavata has largely availed himself of this method. The sage Vyasa who had edited the Vedas and composed the Mahabharata did not attain serenity or happiness in spite of the completion of his labours and his immersion in philosophy and religion. 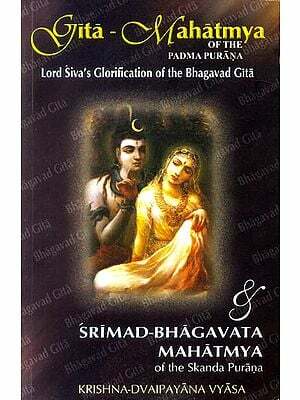 If there was any philosopher who could have appreciated the truth of the Vedanta philosophy and enjoyed intimacy with the form- less Absolute (Nirguna Brahman), it was Vyasa. He was told by Narada that he could attain peace of mind and happiness only by dwelling upon the incarnations of Lord Vasudeva and singing his glory. The stories of the Deity and His miraculous intervention to help His votaries often read like fairy tales. They are not, however, accepted by the thoughtful at their face value. It is pointed out by Sri Sankaracharya that the object of myth and legend in the Vedas is merely to lure the mind to the truths of religion. The stories are treated as mere arthavada (eulogistic) and not as facts. If, notwithstanding the progress of knowledge, educated people still listen with delight to these stories, it is because even they have not outgrown the credulity of childhood. What appeals to the childhood of the human race appeals even to grown-up individuals in civilised societies. Bemard Shaw has remarked that there is evidence for a law of conservation of credulity. Our appetite for the marvellous still persists in the hidden recesses of the mind. Stories of miracles are to be found in the Bible and in the literature of most religions. It is these defects which first strike the superficial observer who is unable to separate the pearls of truth and wisdom from the shells in which they are imbedded. Macaulay made fun of the history and geography of the Hindus, “of history abounding with kings thirty feet high and reigns thirty thousand years long, and geography made up of seas of treacle and seas of butter”. But no educated Hindu takes these descriptions for history or geography.